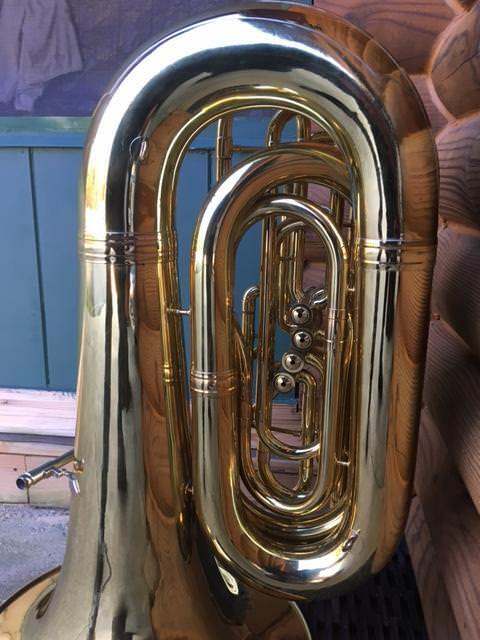 Here's a King 2341 "new style" tuba. I hate "IF" stuff on for-sale items, but I'm having someone check on a CASE that I have in off-site storage. 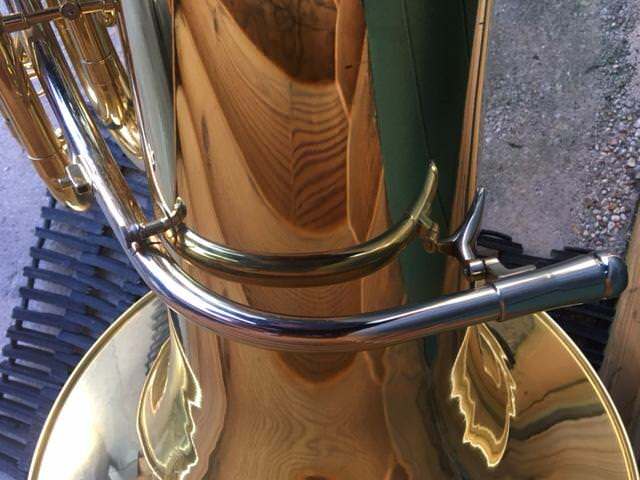 IF that case measures right (and/or has a "KING" emblem on it), THEN I have a case for this tuba. IF that is the correct case (?? ), I'll let that CASE (MTS, in good shape) go for only $150 plus separate shipping cost (no carton) IF the buyer wants it. 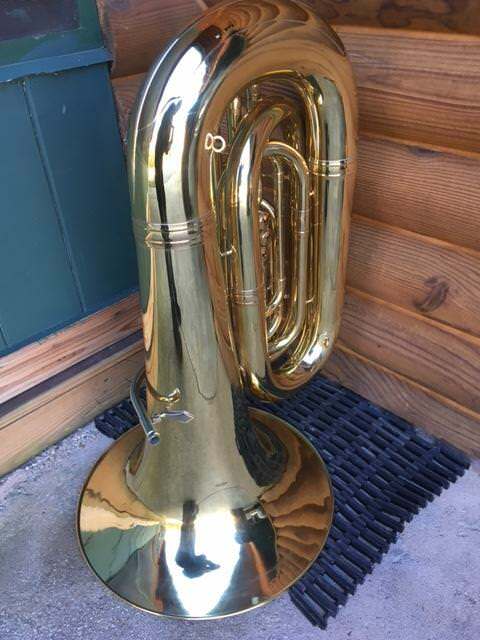 ...so what's for sale (for sure) here is a TUBA ONLY, and I can toss in a really-decent Conn Helleberg 120 silver plated mouthpiece as well. 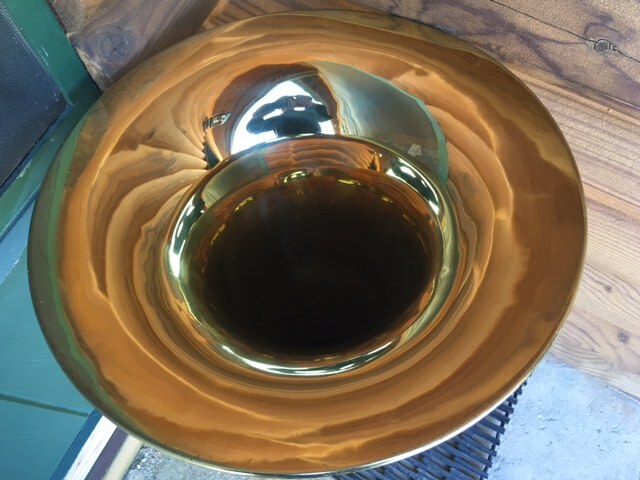 Please note (pictures, below) that any small dents have been removed, and that the original lacquer is very shiny. It's a beauty. From five feet away, it looks "new". Up close, the repairs can be seen, but were executed bloke-good. 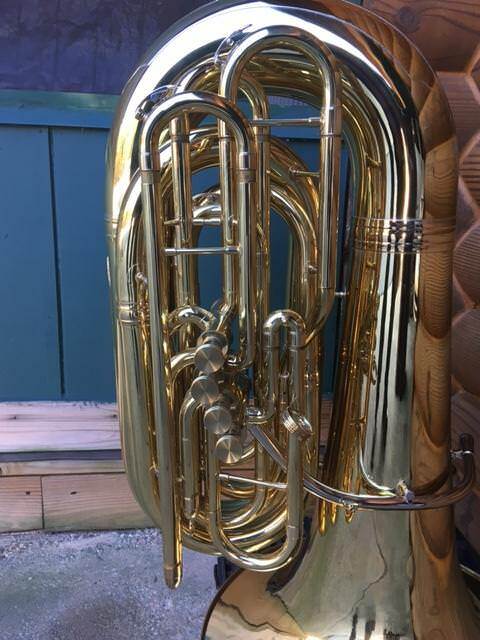 $3600 for the tuba and mouthpiece...That's close to half the price of a new one, and it's (yup, even) thousands of bucks cheaper than the Chinese COPY of a King. 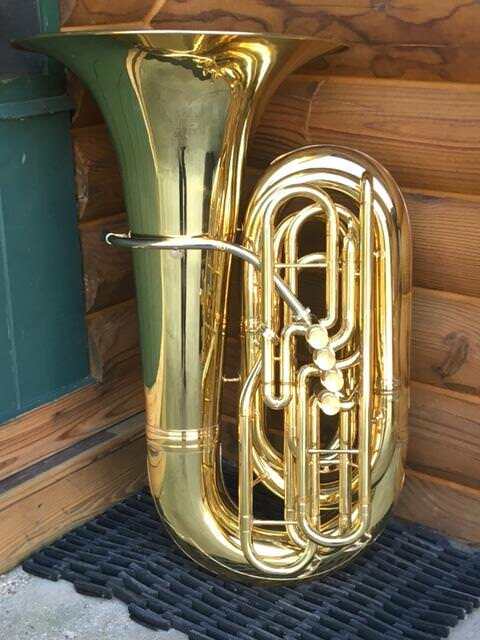 I'll pack it VERY well, but - once in the hands of a shipper of which you approve, this tuba becomes YOUR property, regardless of the attitude of any shipper. 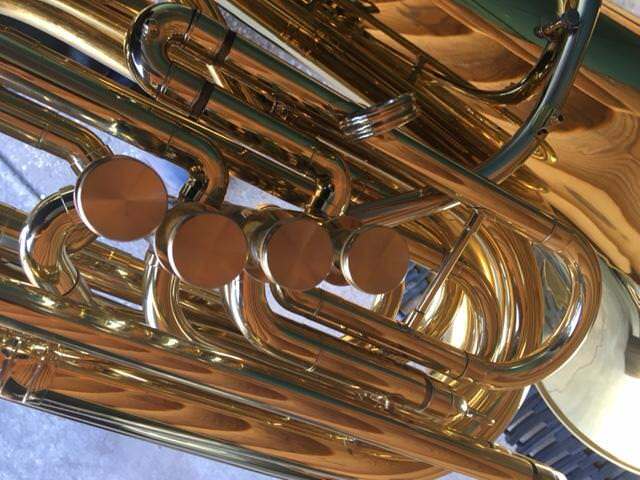 ...and hey, this made-in-USA King (think about it...) is the tuba for the fans of the Eastman 632 CC tuba, but - yet - who are BBb players. 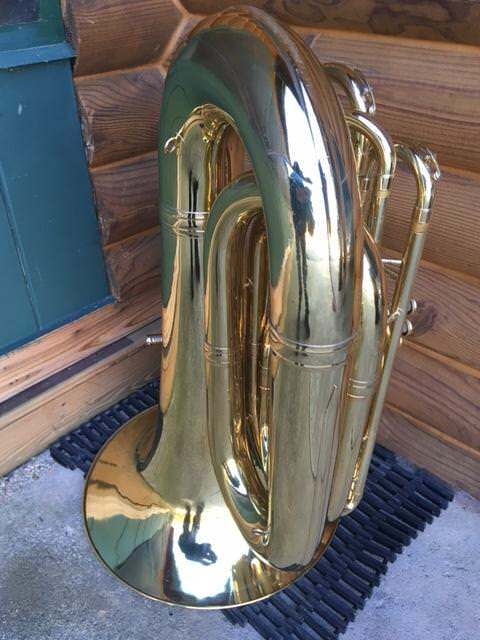 The price of this really-great familiar-to-all model of tuba - particularly in this condition - is a no-brainer. To quote an old song: "If you want it, here it is. Come and get it." Last edited by bloke on Fri Jan 26, 2018 1:29 pm, edited 2 times in total. Like that Boosey and Hawkes that he had back in September? 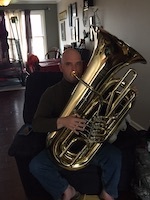 Just sent a link to this and the first photo to a Band Director in North Mississippi. He may not be looking at this time, but he was fairy recently. Good luck! This ought to sell quickly. Thanks for the nice comments and private chat. 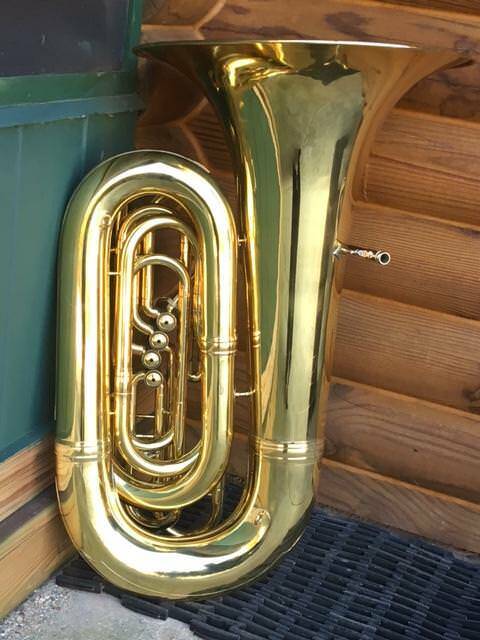 There's about a 98% chance that this is sold to a local school...a band director who peers around on here and - specifically, it seems - looks for stuff that I might be offering for sale. This is a fine time to be short on cash. GRRR!